How much is Dani Alves Worth? Dani Alves Net Worth and salary: Dani Alves is a Brazilian football player who has a net worth of $60 million. 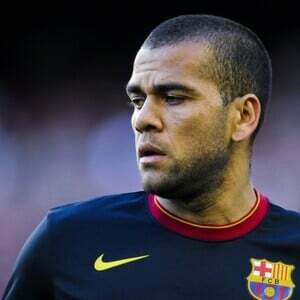 Dani Alves was born in Juazeiro, Brazil, in 1983 and is a right back for FC Barcelona of La Liga and plays for the Brazilian national team. He debuted professionally in 2001 for Esporte Clube Bahia before being loaned to Sevilla. Several years later, he became involved in a dispute with club president Jose Maria del Nido after Alves expressed his desire to play for Chelsea but felt the European club was lowballing his salary. Alves ultimately stayed with Sevilla until 2008 when he joined FC Barcelona and eventually signed a deal making him the third most expensive defender in the world. He first played for his native country in 2006 and was part of the 2007 Copa America tournament and 2009 Confederations Cup. Alves has become a public target of racism by opposing fans and had a banana thrown at him during a match with Villarreal in 2014. He is heavily involved with the Special Olympics and dedicates his time to encouraging others to welcome those with intellectual disabilities to play football.